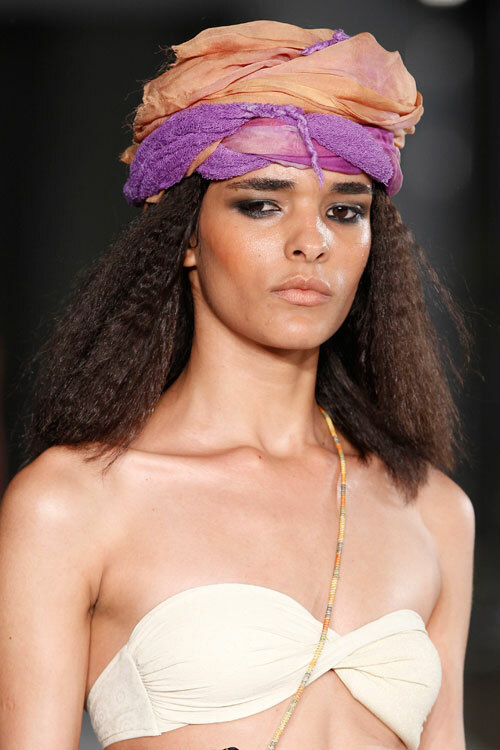 The designer Guillermina Baeza was born in the Spanish protectorate of Morocco. In the 60s she moved to Barcelona and the in the 70’s started her professional career that took her in the 80’s to exhibit at major European fashion shows. Her continued presence on the catwalks has created a unique style, that underscores the tenet of the Guillermina Baeza philosophy: "Swimwear and lingerie are not mere accessories. Today they are as important as outer garments." The great merit of Guillermina Baeza has always been to adapt to the needs of the market, thanks to her intuition, covering different segments of the same in terms of styles, tastes and ages. Currently, the designer’s daughter, Belén Larruy, also works with her, directing the creative team. Collection - Tanger, memories of a mythical and legendary land. We have paid homage to the colors and luminosity that the Allawi kingdom transmits and the creativity and harmony reflected in its architecture.